I’ll admit it. This pattern – my first crochet pattern! – is named after my dog, who does not wear hats. Her name is Lola, and I call her Lola Bean, so when I was designing this hat, the name just rolled off my tongue – the Lola Beanie! 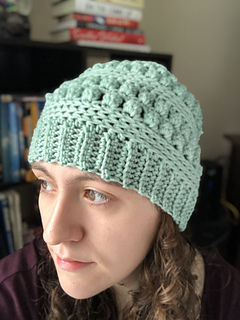 Full of texture, squishiness, and cozy warmth, this hat is perfect for snuggling up with a cup of coffee. Or your favorite pup.